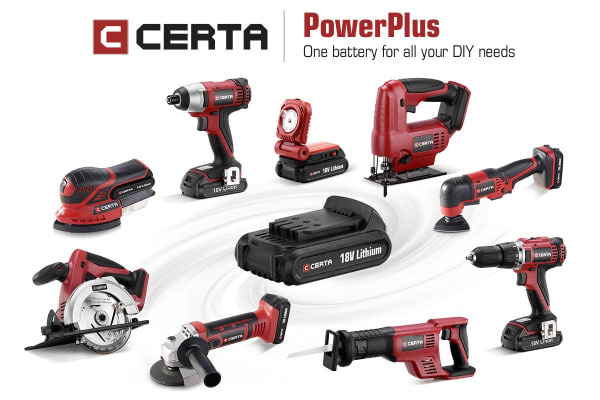 The Certa PowerPlus 18V Multi Tool allows the everyday handyman to achieve professional cutting and sanding results with devastating efficiency. 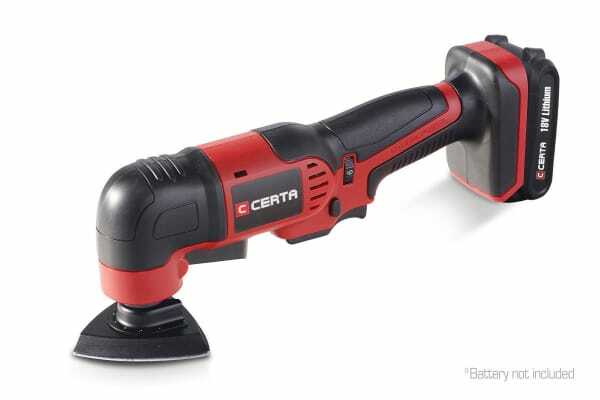 For cutting and sanding jobs big and small, look no further than the Certa PowerPlus 18V Multi Tool (Skin Only) for smooth, precise results you can be proud to put your name to. 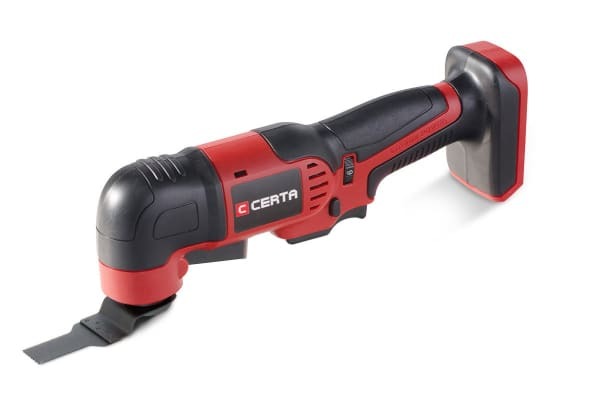 Expand your kit with the Certa 7 Piece Multi Tool Accessory Kit, with more tools at your disposal to ensure that you’re always prepared for any job. The Multi Tool feels solid and powerful in your hand without compromising manoeuvrability. The cordless, ergonomic design allows for comfortable handling over long periods and one-handed accessibility of buttons and triggers.